Hugely exciting news, our book KNIT YOUR OWN ZOO won the Best Book for 2014 at the British Knitting Awards. What makes it particularly special, it was voted for by you all. As a sort of thank you and to celebrate Wool Week here is a competition. Can you name five dogs from the photograph below? Answers through our contact form or joannamosborne@gmail.com, the winner will be notified by e mail on October 20th. The prize – a KNIT YOUR OWN DOG KIT produced by our wonderful publisher, Pavilion Books who have produced three dog kits, a Beagle, Golden Retriever and Dachshund. 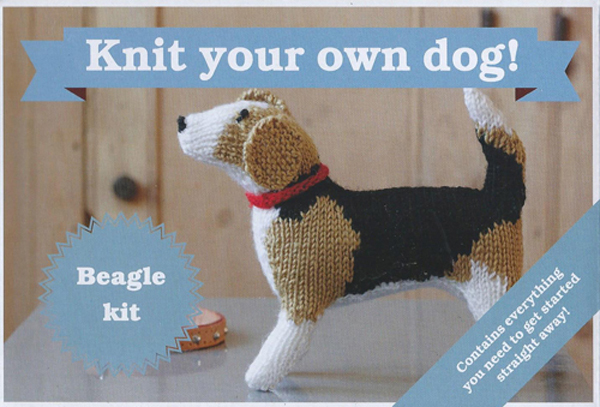 You can choose your dog and each kit contains everything you need to knit the dog.